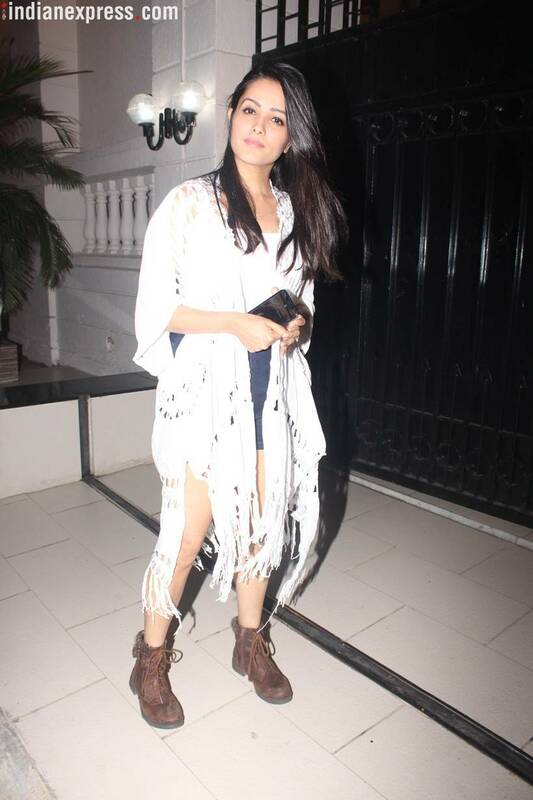 Check out the latest pictures from the star-studded night at Ekta Kapoor's house party. Nimrat Kaur, Mouni Roy, Anita Hassanandani among others added glamour to the event. Ekta Kapoor recently threw a bash to celebrate the success of Alt Balaj's new web series The Test Case starring Nimrat Kaur. With Vikas Gupta, Mouni Roy, Anita Hassanandani, Bipasha Basu and Karan Singh Grover among others in attendance, the party was certainly a star-studded affair. The Test Case, which started streaming on Republic Day, has garnered rave reviews. The 10-episode series revolves around Shikha Sharma, who aspires to become the first woman combat officer in the Indian army. Ekta Kapoor shared a selfie with her close buddy Vikas Gupta, Nimisha Pandey and the newest member of the Alt Balaji family Nimrat Kaur. In another picture, Ekta is seen posing with her girl gang. Anita Hassanandani, who plays Shagun in Ekta Kapoor's Yeh Hai Mohabbatein, was also present at the party. The monkey couple of Bollywood, Karan Singh Grover and Bipasha Basu posed for the paparazzi. Mouni Roy who is prepping up for her big Bollywood debut alongside Akshay Kumar in Gold, added glamour to the party. And the woman of the evening herself, Nimrat Kaur looked stunning in black. Vivek Oberoi, who is teaming up with Ekta Kapoor for her web series A Family, graced the party with wife Priyanka Alva. Bhojpuri actress and item girl Kashmeera Shah, who has been a part of Balaji Telefilms for several years, was among the celebrities at the party. 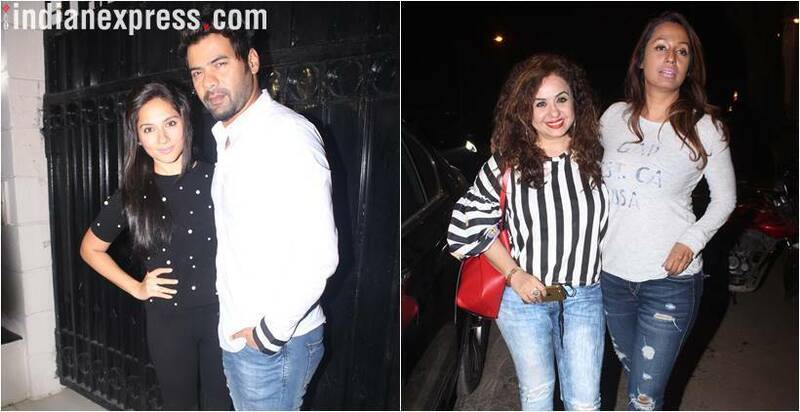 Shabir Ahluwalia, who plays rockstar Abhi in Kumkum Bhagya, also made his presence felt at the party. 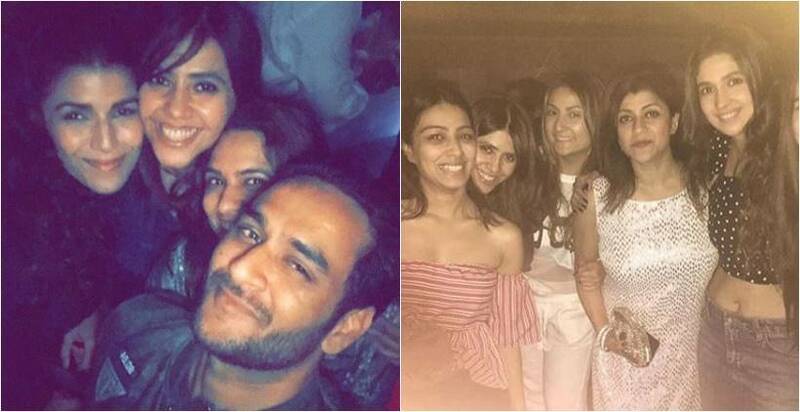 Bahu Hamari Rajni Kant actress Ridhima Pandit and Ekta Kapoor's good friend Karishma Tanna attended Ekta Kapoor's party.